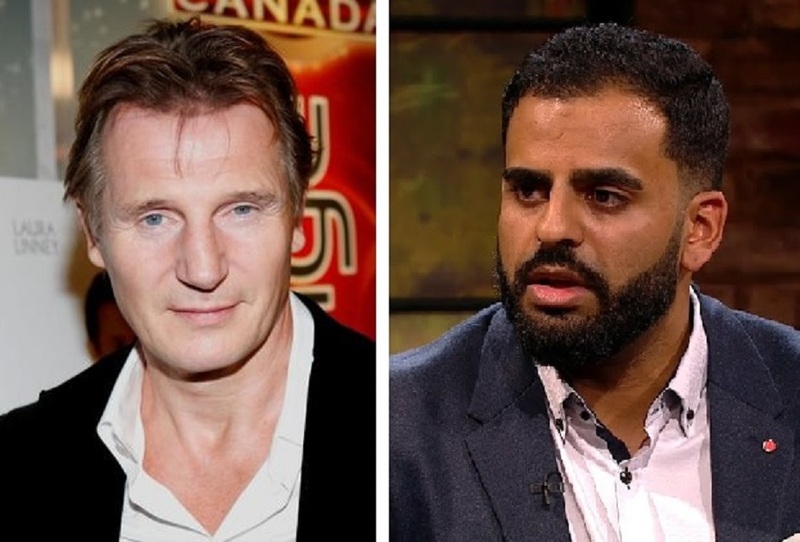 Irish actor Liam Neeson is poised to play Ibrahim Halawa in an upcoming biopic which is due to start filming early next year. The Ballymena hunk beat a number of high profile actors to the part including Daniel Day Lewis, Cillian Murphy and Edward from Jedward. Two weeks later Halawa was a guest on The Late Late Show on RTE1 and big time Hollywood producer Chuck Johnson just happened to be in Ireland at the time watching from his hotel room in Mountmellick. He immediately decided he was going to make the story into a movie. We spoke to Chuck – who tends to swear quite a lot – and asked him what audiences can expect. He told us we’re in for a real treat. We told Chuck that that’s really not what happened at all but he didn’t want to hear it and told us he knows movies and he knows what audiences want. Other cast members confirmed are Colin Farrell as Leo Varadker, Brendan O’Carroll as Mrs. Halawa and Verne Troyer (Mini Me from the Austin Powers movies) as President Higgins. Rumour has it that Ibrahim Halawa’s father – Ireland’s top Muslim preacher who recently said in an interview that Allah will punish all gays in the next life – has asked for the Leo Varadker character to be a straight man with a wife and eight children.